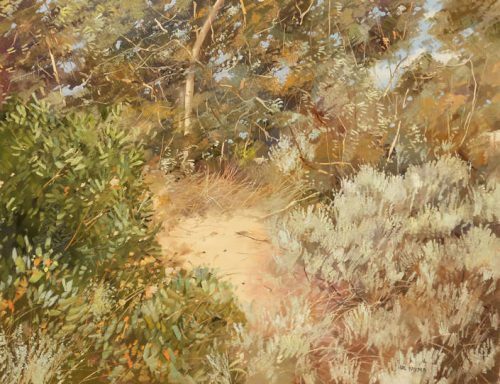 No other artist captures the natural light of the Australian bush like Hal Barton. 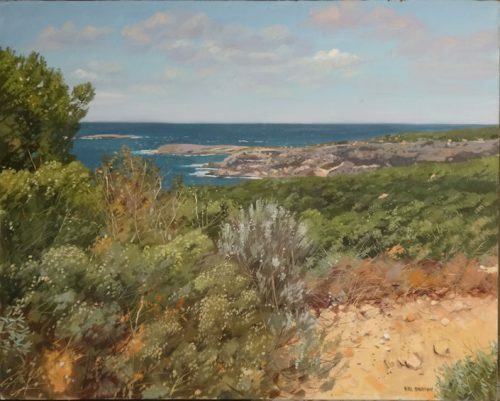 Born in Adelaide in 1927, his passion for immortalizing the land began when as a small child he wandered his beloved Adelaide Hills, sketchbook in hand. 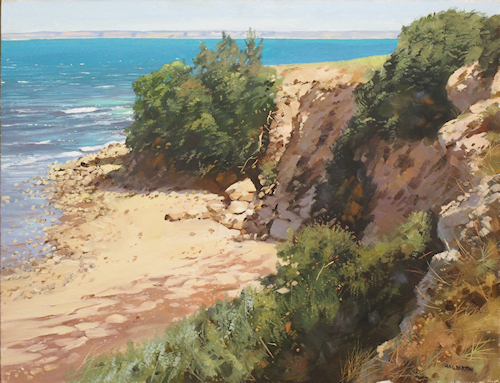 He gained his early training at the South Australian School of Arts and Crafts and had the advantage of being tutored by returning official war artists. 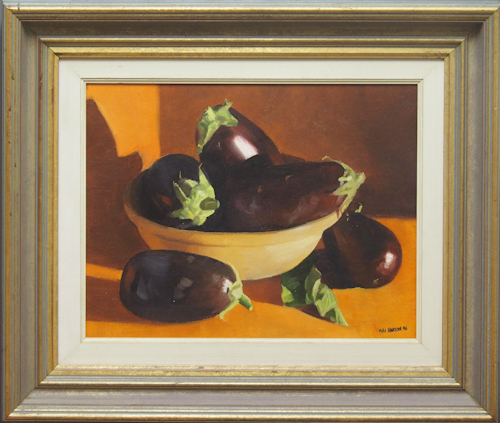 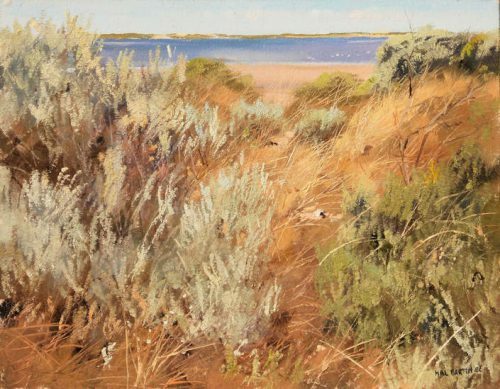 On his painting trips to Hahndorf he received invaluable guidance and encouragement from Sir Hans Heysen. 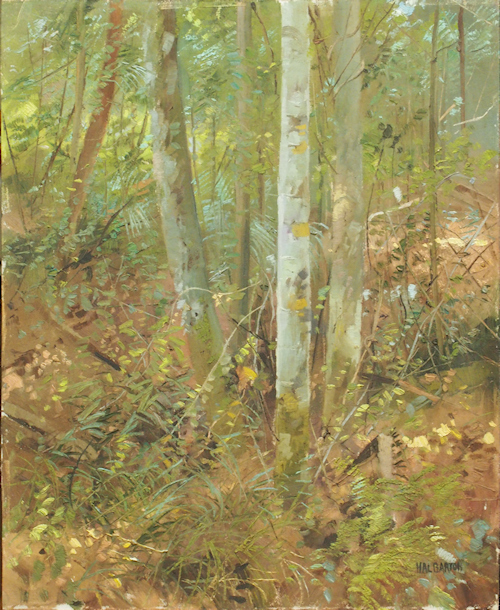 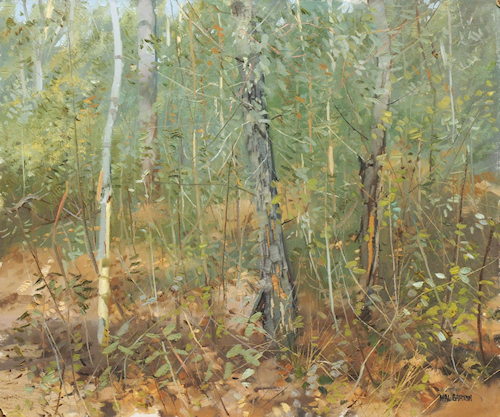 But Hal shunned the traditional sweeping landscpaes of Heysen and the Heidelberg School, to which he has been compared, to uncover the unique beauty and organized chaos of nature on the forest floor. 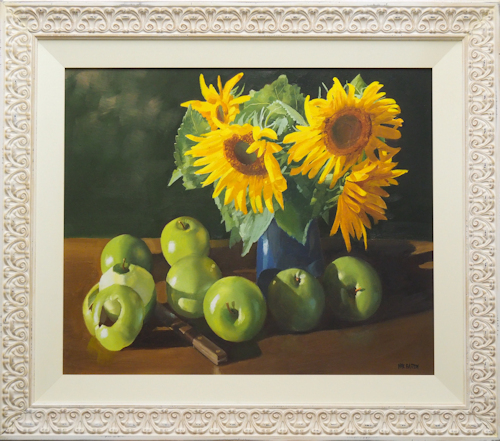 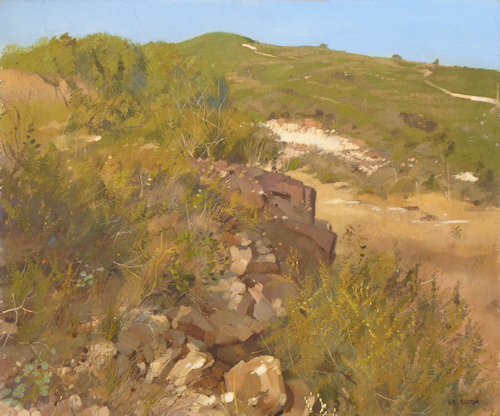 Hal didn’t limit himself to bush scenes, painting still-life and beach scenes including banksias and grass trees. 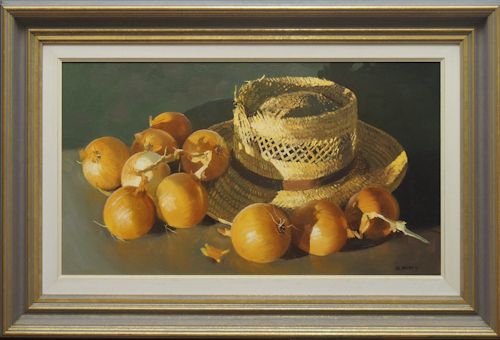 In 1992 he demonstrated his versatility by becoming a finalist in the “Doug Moran Portrait Competition’. 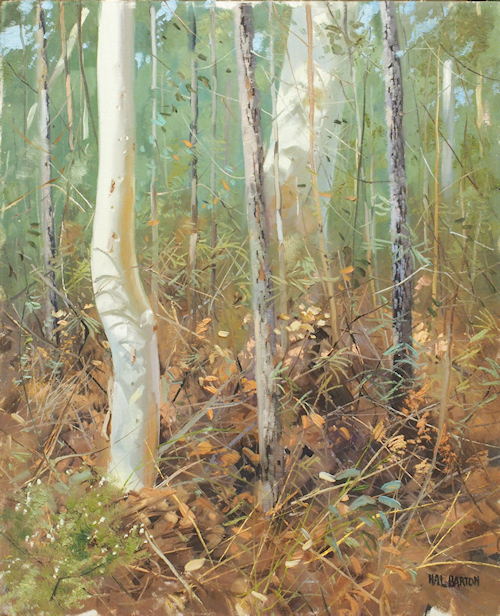 Hal had over 20 solo exhibitions both in Queensland and other states, many of which were sell-outs, and features in many private collections across the world. 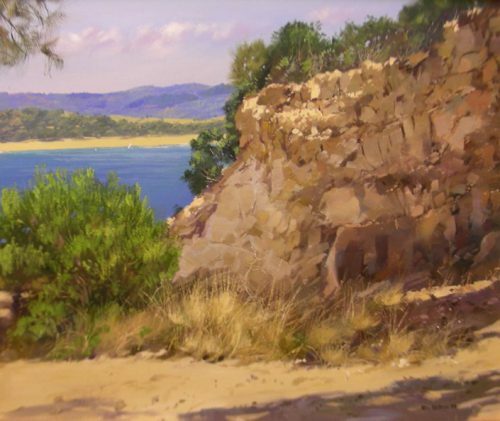 Noosa lost one of its’ artist treasures with the passing of Hal in 2015.